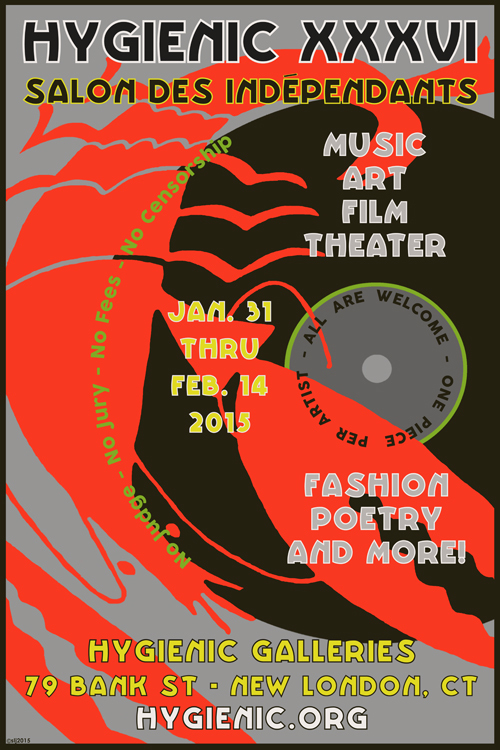 Two poster design submissions for the Hygienic‘s 36th annual winter arts festival – Music! Art! Movies! Theater! Fashion! Poetry! and more….